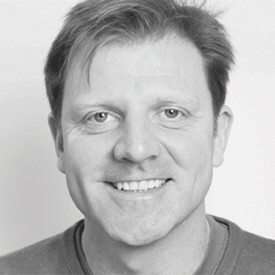 Chris Sherwin is the Director at Reboot Innovation, a creative consultancy on a mission to change what and how we innovate – for a better world. We fuse world-changing innovation, marketing and design with cutting-edge sustainability and ethical business. We are the sustainable innovation partner to brands and innovators who want to practically design a green, fair and prosperous world. I used to work as a sustainability consultant in a large multi-national manufacturing business. One of my final projects was to conduct a sustainability review of the Research & Development (R&D) portfolio - the function developing new technologies to fuel future innovation for business success. Picture a centre-of-excellence housing many bright scientists and researchers filing record numbers of patents each year. Yet this was, as far as I was aware, among the first times the company had looked systematically at their research portfolio in this way. It represented the early signals of a shift from simply improving or ‘correcting’ what they currently offered, to developing a new generation of inherently more sustainable products. Since then the company has gone from strength-to-strength on sustainability, helped by a strategic commitment, many recognitions and awards, and growth in sales of its sustainable products. I’m convinced that focussing sustainability on early stage innovation has made a major contribution to their advanced position and is the key to commercial success in the future. Front-end sustainability is the focus of this blog. Most readers will recognise and understand Research and Development functions in a business but the concept of a ‘fuzzy front-end’ may be less well known. The term was coined to represent the messy, risky, uncertain nature of these embryonic business activities. Damien Newman presents an apt visualisation of the iterative, non-linear nature of this business phase. Importantly, front-end innovators are effectively shaping the future of business over a 3-5-7 year time frame - exactly the place we should be integrating a more long-term focussed sustainability. Surprisingly few businesses focus their sustainable business activities here, and fewer do it well. One immediate reasons for this is the evolution of corporate sustainability; from its end-of-pipe roots, through manufacturing and clean production, travelling along supply chain practices, to find a home in strategy. We have effectively been ‘paddling sustainability upstream’, so little surprise that R&D is a last outpost given its front-end position. All that said, there are beacons of good practice in this area. For obviously reasons, the Chemicals industry has a strong track record with fuzzy-front end sustainability, faced with pressures to reinvent high impact or resource intensive portfolios. Many players – notably BASF, Dow, Azkonobel, DSM, 3M among them - have well developed sustainability strategies that use R&D to develop more sustainable product pipelines. Du Pont’s states, ‘all products in our pipeline contribute to a safer, healthier, more sustainable world’ in its 2025 Sustainability commitments. Digital innovators show promise on front-end sustainability too, through their agile nature, though I think they could do more to redirect their full creative force to the issues. Google’s work to procure and scale-up clean energy is impressive, their Ventures wing houses many ‘purposeful’ and high-growth businesses, plus the company is increasingly turning its coding and software development genius to diagnostic and monitoring innovations for everything from pollution and sustainable agriculture, to liveable cities and fish stocks sustainability. More traditional Electrical and Electronics players have a major focus on fuzzy-front end sustainability too. Both Philips and GE invest heavily in ‘green R&D’, and reap huge rewards from sales of green technologies in the market too. Nike is unleashing its innovation excellence on early stage sustainability through its Sustainable Business and Innovation unit. Through a mix of technology-focussed R&D (see Flyknit), collaborative partnerships (see Launch2020) and venturing (see SBI Lab), Nike is building a future pipeline driven by ‘Performance + Innovation + Sustainability’. Rather inevitably, start-ups and embryonic innovators handle fuzzy front-end sustainability most naturally, as they often leverage a new technology or business model simply to exist. So if you are looking for a red-line running through all this for larger companies, it is a commitment to corporate sustainability leadership, combined with real R&D and innovation excellence. The first is a mind-set change, from a risk and cost-focussed sustainability agenda to one driving growth and new business. This shifts environmental and social factors from being simply a ‘filter’ for innovation (how do we assess the sustainability of the innovations we create) to become a ‘platform’ for innovation (how can sustainability drive the innovations we create) – the proverbial ‘paddle upstream’ mentioned before. Without this, sustainability won’t capture the imagination of your innovators. The second is a ‘space’ – be that physical or mental – to explore and accept the disruptions that could make your current business redundant. Front-end innovation often disrupts current products and business models, while businesses have a tendency to kill challenging ideas and protect the status quo. Only a few big companies navigate this well, as GE is through Ecomagination and Healthymagination programs. Most fail, Kodak ironically invented the digital camera that eventually put them out of business. Many set up ‘skunkworks’ or incubators half-in/half-outside their business to prevent them from rejecting this ‘shock of the new’. Success with fuzzy front-end sustainability is predicated on a willingness to reinvent the status quo that makes you profitable today. The third factor may bring hope to those without access to large R&D budgets - which is to open-up to external innovation. One big front-end trends in recent years is the Open Innovation movement, ‘a paradigm that assumes that firms can and should use external ideas as well as internal ideas, and internal and external paths to market, as the firms look to advance their technology’. There are plenty of models to use: from open challenges or idea platforms (like OpenIDEO), through accelerator programs that hot-house promising technologies or businesses (Unilever Foundry), from collaborative Hubs (2Degrees Manufacturing 2030) to those scouting for market ready technologies to pilot (Cummins Environmental Gateway). All these give companies access to wider range of innovators, sharing the risk and resources required to innovate. Sustainability managers spend much of their time correcting the impacts of todays’ products, services and business models. If companies redirected just 10% of their sustainability budget – beyond compliance, reporting, operations, supply chain, communications, etc - to fuzzy front-end innovation, they could effectively ‘design-out’ sustainability problems from their future portfolio AND align sustainability to an opportunity and growth agenda from the outset.